There are thousands of human embryos held in suspended animation, in freezers all over America, and around the world. Millions of couples that struggle with infertility yearn to hold a baby in their arms, but are unable to conceive. Our program is designed to bring those families together. Our service enables families to find each other, and for the embryos to have a chance to be born, into a loving family. Every embryo is a precious gift of matchless value, a human being at its earliest stages. Our goal is to bring families together, and offer embryos a chance to be born, for the sake of their own lives, and for the infinite number of future generations. “I knew you before you were yet formed in your mother’s womb”. Embryo Adoption Services of Cedar Park is a Christian organization. We believe that life begins at conception, and that every embryo is worthy of a loving family. Our focus is to unite genetic families that have remaining embryos from previous IVF treatments, with adopting families, for the purposes of providing a loving, nurturing environment for the child, and bringing the endless joy of parenthood to those that embrace these little ones. Our Cedar Park program is designed to make embryo adoption both affordable and accessible, while at the same time providing a venue for both the genetic family and the adopting family to have the advantage of choosing the kind of contact they will have with each other. Some families may want an “open” model; while some families may want to reserve contact through Cedar Park. We will work to provide the parameters that each family is most comfortable with. Counseling is available and encouraged to determine what would be the best for your family. The Lancaster’s were the first family in Washington State to adopt embryos from another family. For many years prior to this, Jeff and Maria struggled with infertility and endured several painful miscarriages. They first learned of embryo adoption while listening to Dr. James Dobson’s radio program Focus on the Family, while Dr. Dobson interviewed Marlene Strege, the first ever woman who had adopted frozen embryos. Marlene and her husband have a little girl named Hannah. 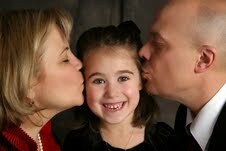 Jeff and Maria contacted Dr. Dobson and he referred them to the same adoption agency, Nightlight Christian Adoptions. They went through the whole process, including a home study just like adopting an already born child. Jeff and Maria are now the proud parents of a beautiful daughter, Elisha. She is a reminder to us all, that life is precious, and that life does begin at conception and should be cherished. Jeff and Maria hope to bring encouragement and healing to those struggling with infertility, as well as offer a wonderful solution to those that have embryos remaining in cryo-preservation. Maria Lancaster now serves as Co-founder and President of Embryo Adoption Services of Cedar Park. Maria holds a Bachelor’s degree in Christian Ministry, an Honorary Doctorate degree in Theology, and is also a licensed and ordained Christian minister. 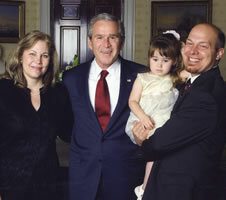 Maria served as the NW Regional Representative for the Embryo Adoption Awareness Campaign in 2006, a grant funded by the Bush Administration to promote awareness of embryo adoption. Since 1985, she was a business owner, founder and President of Galley Resources, Inc., a commercial ship supply company, serving the Alaskan fishing fleet with groceries and supplies for over 25 years. Her personal story, business experience, and education in Christian Ministry are an asset to our program, Embryo Adoption Services of Cedar Park. She looks forward to serving you, and the yet to be born children the result of this wonderful, and new way to adopt. A few days after Embryo Adoption Services of Cedar Park was launched the Seattle Times published the following story….